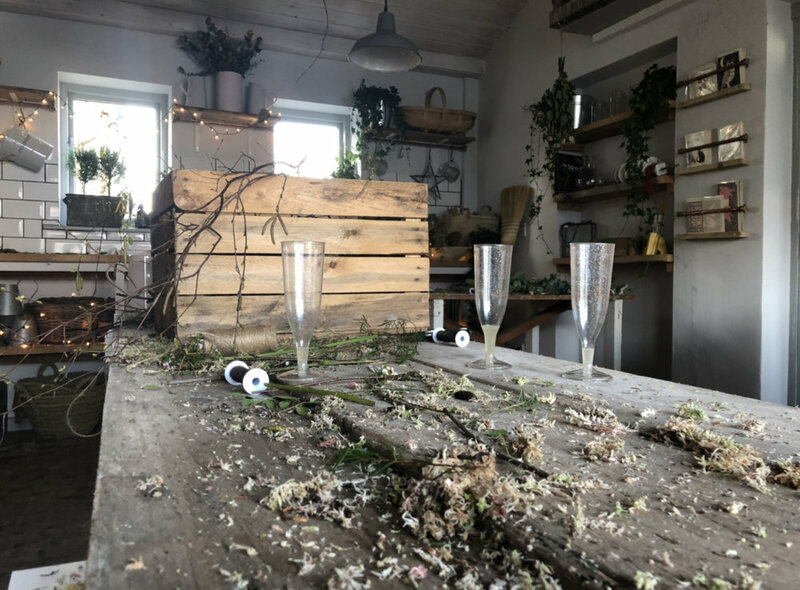 Last night we held our Spring wreath workshop here at our lovely shop. I am unsure why but I get so very nervous before these things, my usual happy seems to temporarily vanish and instead comes insecurities and worries, all of which, of course, disappear once our guests arrive. Even the early morning comment from a customer that my hair was looking particularly ‘care-free’ , didn’t ease things! Anyway, our gorgeous guests arrived and we had Prosecco, spicy apple juice, cakes and a Christmas playlist as I had forgotten about doing a Spring one. They all made the most amazing wreaths, all utterly different, all utterly fantastic and we had the loveliest time. Thank you so much for coming, and thank you to everyone here for your kindness and reassuring words when nerves take over. I have great plans for a Summer workshop ... we will have a cutting garden, were we can waft about with gin, snipping our very own flowers, to put in our very own wreaths.